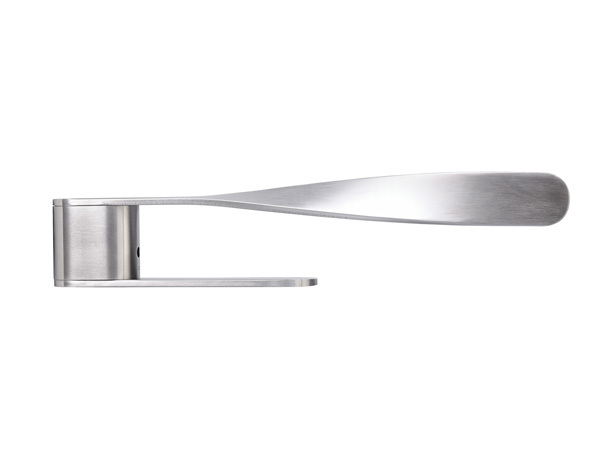 Italian company PBA has received the Red Dot Design Award 2013 for its stainless steel Elica door handle, designed by Jérôme Brunet. Original, elegant and functional, it provides an excellent grip for people with reduced hand mobility. Its flat upper part with a generous surface area also makes vertical movements easier for people in wheelchairs. WGSN-homebuildlife subscribers can read more on door knobs and handles here.